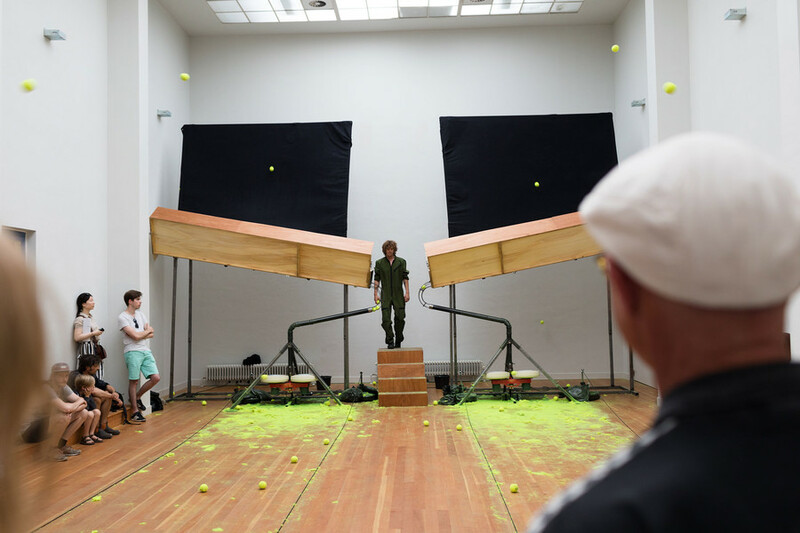 The impressive Halle am Berghain will be the site of “Physical Rhythm Machine_Boem BOem”, an immersive, playful installation by the young Dutch artist Philip Vermeulen. 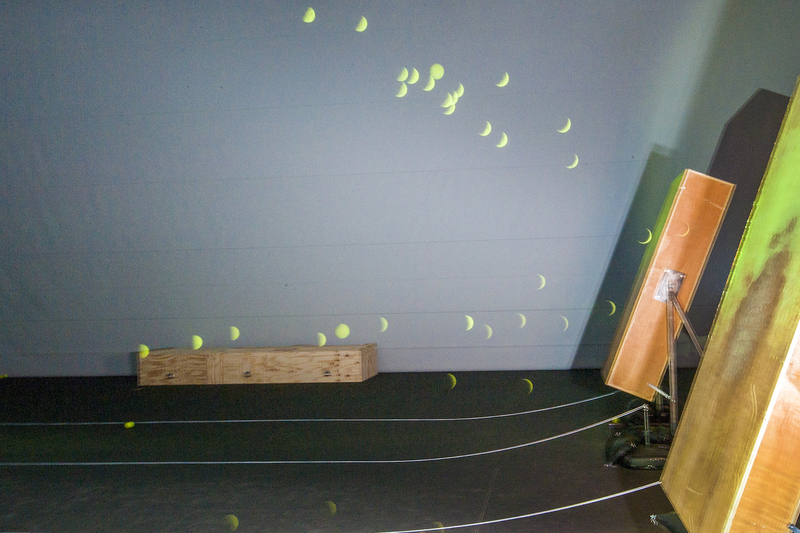 With the visceral acoustic instrument, the Physical Rhythm Machine (PRM), Vermeulen shoots balls at speeds of up to 150 km/h into large resonant boxes. Because the shots can be fired at precise intervals, the machine can generate intricate rhythmic patterns. Various artists will be invited to create short rhythmic compositions to be brought to life via the momentum of the balls. Alternatively, the machine itself can also create non-metric, free rhythmic structures on its own using pre-programmed algorithms. The PRM visualises violent compositions while resonating the space and the bodies of the audience. CTM is a prominent international festival dedicated to contemporary electronic, digital and experimental music, as well as the diverse range of artistic activities in the context of sound and club cultures. The festival’s aim is to present the most outstanding international productions in adventurous, experimental and electronic music and audiovisual performance, as well as to reflect on recent artistic, social and technical developments in music culture.